Fiji is an island in the Pacific Ocean. This beautiful country is filled with a unique native culture and a well-persevered wildlife that covers most of the country. Many people travel to Fiji a year to experience these elements of Fiji. It offers several different visas for people who wish to immigrate to Fiji temporarily or permanently. Potential immigrants must complete a series of steps and file the appropriate paperwork before they will be allowed to enter the country. 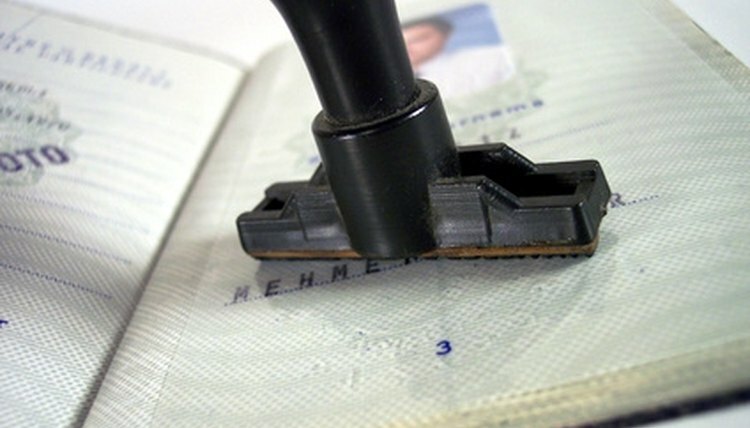 For all visa applications, the potential immigrant will be required to have a valid national passport before he will be allowed to enter the country. The passport must have at least two blank pages in it (for the appropriate visa certification stamps and stickers) and be valid for at least six months after the intended date of departure from Fiji. Three additional passport photos will also have to be submitted with the visa application form. The additional passport photos will used for identification purposes during the application process. One of the additional passport photos must be notarized. All visa applications will require that the potential immigrant supply a police report that states your criminal history. The police report must be completed on a form supplied by the Fiji government. The police report can be downloaded online from the Fiji Embassy website. All potential immigrants must complete the appropriate visa application form. The visa application forms can be found on Fiji's government website. When filing the visa application, you will be required to pay the appropriate fees. The fees are nonrefundable, even if the visa application is denied. For all immigrants coming to Fiji, they must provide a letter stating that they will have enough money to support themselves when in Fiji. This can be proven through a series of bank statements or a statement of support from friends or family. Work and study visas are also very popular for people who wish to immigrate to Fiji. Those applying for a study visa will have to show proof that they have been accepted into a local school. If they are intending on applying for a work visa, they must be able to show proof that they have obtained a job before entering the country. Once the work visa is granted, they will be able to work only for that employer while in Fiji. They must also secure sufficient funds before arriving in Fiji that is set aside exclusively for a return ticket. To immigrate to Fiji permanently and become a citizen, a person must have lived in Fiji for the past five to 10 years before they are eligible to apply. Any person that meets this criteria is eligible to apply for citizenship by naturalization. Werden, Kristina. "Fiji Immigration Requirements." , https://legalbeagle.com/7238551-fiji-immigration-requirements.html. Accessed 21 April 2019.